The first four years that Brian Jones was a pastor, he had a secret: he didn't believe in hell. Today, he shares his story of discovering that hell exists--and why we're afraid to believe in it. 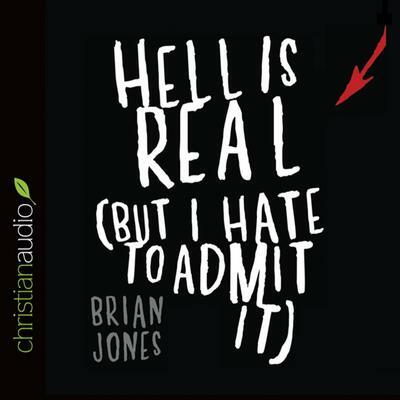 In Hell Is Real (But I Hate to Admit It), Brian suggests that the real reason most of us don't tell our friends about Jesus has nothing to with not knowing how. It's because we don't think we need to. Are you one of the many Christians who doesn't believe in hell or is not convinced your non-Christians friends will end up there? Hell Is Real (But I Hate to Admit It) will change your mindset for good--and inspire you to do something about it. Drawing on the teachings of Jesus, Jones will lead you into a head-on collision with what he calls apocalyptic urgency. This all-consuming conviction that hell is real will not only strengthen your faith; it will also free you to share good news with others that will change their lives--now and forever.